Having been spruced up, and shorn of a couple of items, the new-look Toast Of Newyork is ready to find a new home as soon as the right person walks through the door. The former racing greyhound, owned in partnership by trainer Jamie Osborne and Michael Buckley, who named him after their UAE Derby hero, is looking for a home after his career on the track came to an end due to injury. Osborne expressed his sadness at not being able to take on the four-year-old dog himself, with seven other canines already sharing his home. 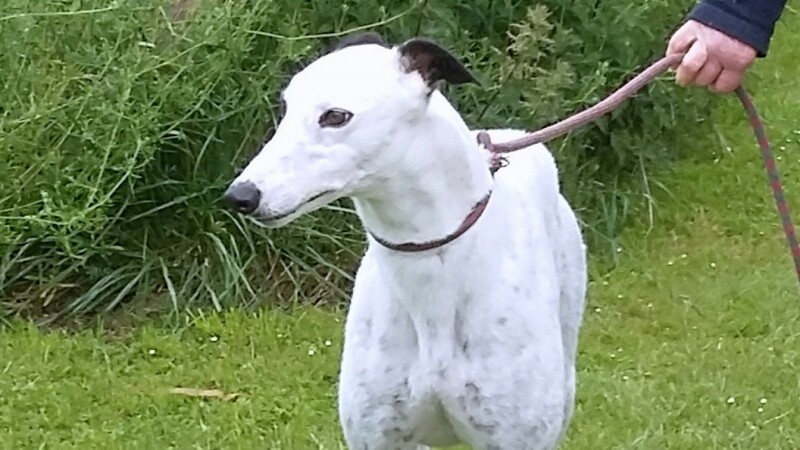 Instead, Toast Of Newyork is being cared for by the Retired Greyhound Trust, and Jenny Hebborn, from the Oxfordshire branch of the charity, said on Sunday: “He’s been castrated, had dental work and been for his vaccinations, so he’s all ready to go. He’s had one viewing so far, but he wasn’t quite right for that person. “It’s about finding the right person for him, and he needs someone who understands him. He’s your typical ex-racing greyhound in that he’s a beautiful, loving dog but one who needs taking care of.